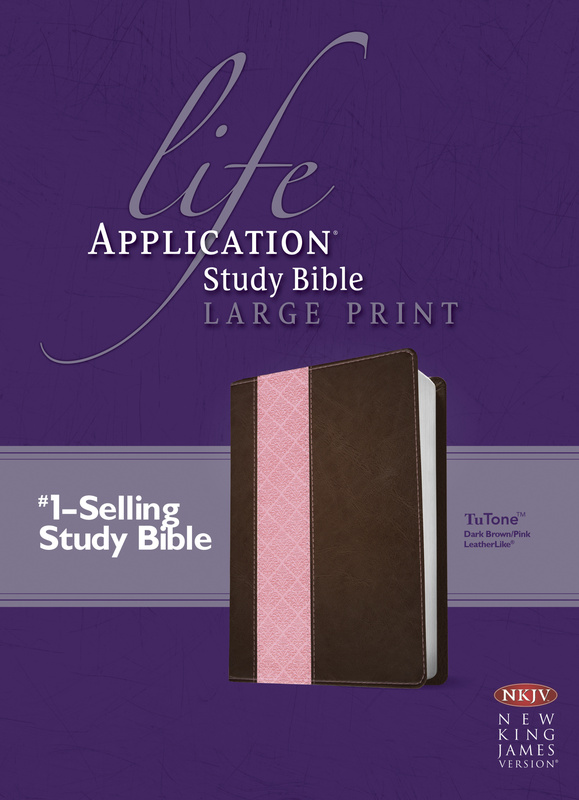 The Life Application Study Bible is today's #1-selling study Bible, containing notes that not only explain difficult passages and give information on Bible life and times, but go a step further to show you how to 'take it personally,' speaking to every situation and circumstance of your life! It's the one Bible resource that incorporates today?s top scholarship in answering your real-life questions and includes nearly 10,000 Life Application notes and features designed to help readers apply God's truth to everyday life. 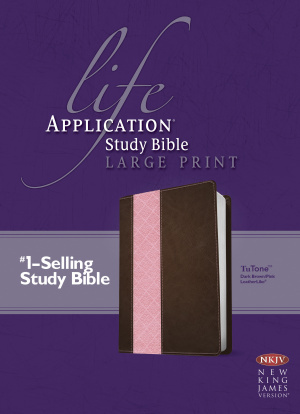 Life Application Study Bible NKJV, Large Print, TuTone by Tyndale House was published by Tyndale House Publishers, Inc. in September 2015 and is our 11401st best seller. The ISBN for Life Application Study Bible NKJV, Large Print, TuTone is 9781496411594. Be the first to review Life Application Study Bible NKJV, Large Print, TuTone! Got a question? No problem! Just click here to ask us about Life Application Study Bible NKJV, Large Print, TuTone.